A day after a flight attendant’s gun accidentally went off in Philadelphia International Airport early yesterday, more information about the gun’s owner surfaced Monday, according to NBC10 Philadelphia’s Dan Stamm. The regional airline flight attendant who said she forgot she had a loaded weapon in her luggage when she arrived for work Sunday morning faced a disorderly conduct charge while the policewoman who accidentally fired the handgun was on desk duty Monday. 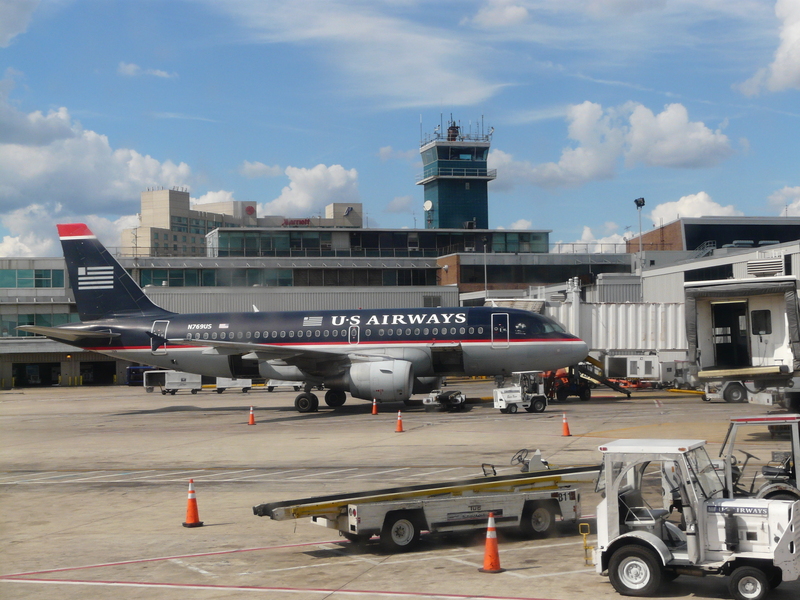 Philadelphia Police identified the Republic Airlines (a carrier that operates flights for US Airways) flight attendant as Jaclyn Luby, 27. The West Chester, Pa., woman told investigators she forgot the loaded .38-caliber handgun in her carry-on as she passed through airport security at Terminal C around 6:50 a.m., according to Philadelphia Police. A US Airways spokesman said a police officer was called over to examine the gun and that’s when it accidentally discharged. The bullet went into a TSA break room where an employee was sitting, but luckily no one was injured, police said. Police said Luby had a license to carry the loaded weapon. Police confiscated the gun and said it would be up to the county that issued Luby the permit if the weapon would be returned. Luby received a summary citation for disorderly conduct, was taken into custody and released, according to court records. A Facebook page apparently belonging to Luby, which had the same date of birth listed as her court documents, was taken down Monday. NBC10’s attempts to reach her weren’t successful. Republic Airlines refused comment when NBC10’s Lu Ann Cahn asked the company about the incident Monday. The unidentified female officer who accidentally discharged the gun was placed on desk duty pending investigation, police said. NBC10 has learned from the TSA that 10 times last year and seven times so far this year someone came to the Philadelphia International with a gun accidentally packed in his or her bags. Just earlier this year, NBC 10 reported on a Phoenixville man who said he forgot he had a loaded gun on him when he went through airport security. Another flight attendant was brought on board the Dallas, Texas-bound plane Luby was supposed to be working on and the scheduled flight arrived on time, according to the airline.